Spring is about light and colorful eating. It’s about coming out of winter feeling renewed and energetic. 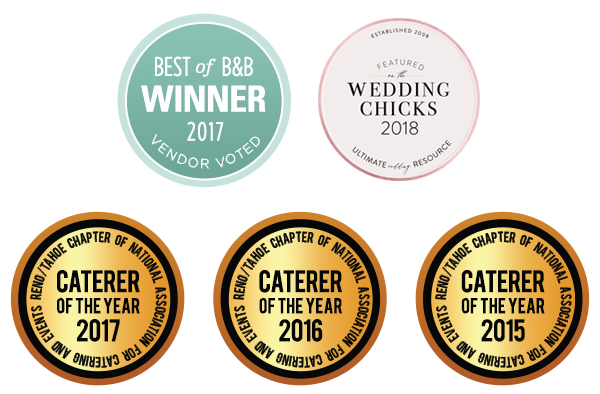 Blend Catering in Reno and Lake Tahoe can help! Spring is about light and colorful eating. It’s about coming out of winter feeling renewed and energetic. The days are longer, the mornings are crisper and people are full of enthusiasm. This time of year our bodies crave food that’s a little lighter than what we might have been eating through the winter. Proteins like fish and chicken are ideal candidates for hitting the grill. Vegetables like peas, arugula, beets and asparagus are all likely sidekicks on a springtime dinner plate. We crave bright flavors complemented with colors and scents for our other senses to feed on. Unless you have a greenhouse, you’re likely a few months away from harvesting your own bounty, but the local markets are beginning to get in deliciously fresh produce that brightens any trip out for groceries. Below is an easy and way satisfying spring recipe to make for you and your family. Thinking bigger? If so, call Blend Catering in Reno and Lake Tahoe for your events, dinner parties and more. We’ll help you create a custom menu that matches flavors to the feeling of your event. Enjoy the weather; enjoy the food! – cut halibut into 4-5 oz portions and lightly cure for 30 minutes by covering the fish in kosher salt. After 30 minutes, remove the salt by running the fish under cold water. Pat dry and reserve for searing. – heat a nonstick pan over medium high heat and let sit for 2-3 minutes. Once ready to sear the halibut, add 2 tablespoons of grapeseed oil and add the portioned halibut. Sear on first side for 3-4 minutes or until light golden brown. Flip the halibut and turn heat down to medium low. Add 2 tablespoons of unsalted butter and baste the seared side of the halibut until fully cooked through, about 3-4 minutes. – heat a tall-sided sauté pan over medium heat and add the radishes, 3 tbsp butter and 2 tbsp water. Add a lid to the pan and butter braise the radishes for 10 minutes, stirring occasionally, then season with salt and pepper to taste. – in a separate sauté pan, add the morels, wild mushrooms and 1 tablespoon grapeseed oil over medium heat, cook, stirring occasionally for 5-7 minutes. Season with salt and pepper and add to the braised radishes. – add the English peas to the radishes and morels and turn to medium heat. Cook for 4-5 minutes, or until peas are cooked through and bright green. Season with salt and pepper to taste. – in a small pot, add the lemon thyme and olive oil over medium heat. Heat for 5-7 minutes, remove from heat and let rest for 1 hour at room temperature. Strain out the lemon thyme and reserve oil. – in a medium pot, add rhubarb, honey, 1 tsp salt, lemon juice and rhubarb juice over medium heat. Bring to a simmer and continue to cook until the rhubarb is tender and cooked through, about 10 minutes. – add mixture to blender and blend on high speed until purée is smooth. Now that’s what spring should taste like.